We recently met the top management of four U.S. mid-cap banks headquartered in Chicago (see related October 10, 2018 “Notes from Chicago – What the Banks Said About the Canadian Banks/M&A (Part 1)”). Chicago is the third largest U.S. MSA1Refers to the Chicago-Naperville-Elgin MSA. An MSA is typically a large city and outlying suburbs, analogous to the Greater Toronto Area (“GTA”). MSAs are defined by the U.S. Office of Management and Budget.with real GDP of US$583 billion2Federal Reserve Bank of St Louis and a population of 9.6 million. Although large, the Chicago MSA has one of the least favourable demographic profiles among the “large MSAs” (i.e., those with a population greater than 1.5 million) as its population and GDP growth remain well below states/MSAs operating in the Southeast and Southwest regions. That said, banks operating in the Chicago MSA continue to benefit from several positive trends impacting the U.S. banking sector, including an improving economy, (gradually) rising federal funds rate, and ongoing consolidation (Chicago has historically been one of the most fragmented MSAs in the entire country). Hamilton Capital’s U.S. and global ETFs – Hamilton Capital U.S. Mid-Cap Financials ETF (HFMU.U), Hamilton Capital Global Financials Yield ETF (HFY) and Hamilton Capital Global Banks ETF (HBG) – have exposure to the U.S. banking sector. In general, their emphasis has been on high quality U.S. mid-cap banks operating in higher growth regions/MSAs with favourable demographics, resulting in greater exposure to the Southeast/Southwest, at the expense of slower growth Midwest, Northeast and Mid-Atlantic regions. However, the ETFs do have some exposure to mid-cap banks operating in Chicago. 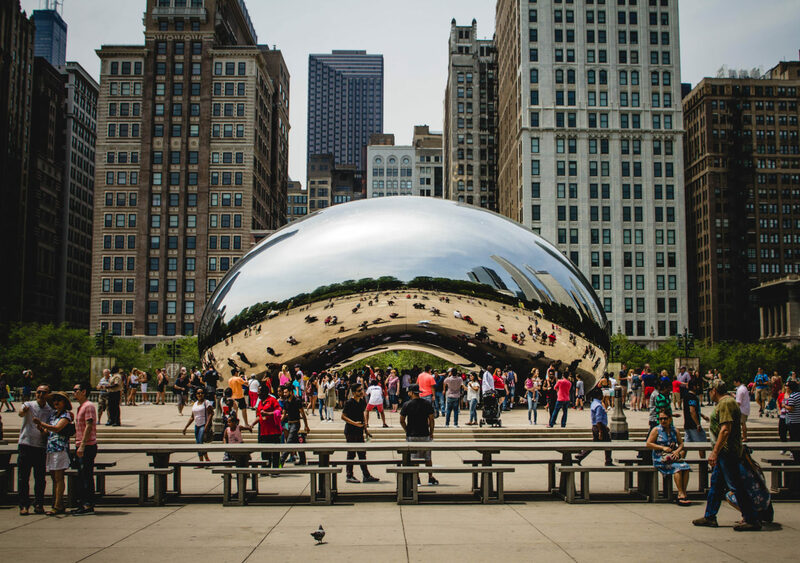 With a real GDP of $583 bln, Chicago dominates the Illinois economy. However, over the past decade, the state of Illinois has fallen behind peers due to poor fiscal discipline (large unfunded pension liabilities and high budget deficit), a relatively weak labor market and an unfavourable tax regime. In FY17, the state’s real GDP grew 1.5%, below U.S. economic growth of 2.1 %3Bureau of Economic Analysis. Less favourable fiscal policy has weighed on the state’s demographic profile, as it suffers from one of the weakest population growth profiles in the U.S. For example, since the last census in 2010, of the 40 large MSAs, Chicago ranked 36th in population growth. Its population growth was approximately half the U.S. average and a fraction of the fastest growing MSAs in Texas, Florida, Georgia, and others located in the Southeast/Southwest (and parts of the West). Despite the muted economic outlook, Chicago remains home to some of the largest corporations in the U.S. (36 of Fortune 500 companies) and has a large, diverse economy. Bankers we met with were confident of near to medium-term economic outlook and cited renewed corporate confidence as a key credit demand driver. Bank executives believed that a positive outcome of recent bank M&A in the region (FITB’s acquisition of MB Financial) and the continued consolidation of the MSA is that it has resulted in more disciplined pricing for deposits. Consequently, Chicago banks we met are expecting stable net interest margins from healthy credit demand (in the low to mid-single digits) and rising interest earning asset betas4Beta measures rate changes relative to market rate changes (Source: FDIC). However, with an increase in the sheer number of deposit promotions (mostly CDs in the 12-24 month maturity bucket), bank CEOs we spoke to were readying for increased competition for deposits and noted that any bank M&A (large or small) was likely to be deposit-centric. Supported by improving economic growth and a large corporate tax reduction increasing borrower cash flows, banks were seeing few signs of systemic stress in any particular lending segment. Incidences of credit quality deterioration were limited and driven by a borrower’s specific circumstance. Regulators continue to be wary of CRE lending particularly large, levered transactions as the real estate cycle matures. However, banks noted that aside from a few incidents of “thin pricing”, the real estate market remained healthy. None of the executives we met with believed a credit cycle was looming. Overall, notwithstanding some of the long-term challenges facing the overall Chicago economy, the banks we met with remained optimistic in their near-term outlook. 1 Refers to the Chicago-Naperville-Elgin MSA. An MSA is typically a large city and outlying suburbs, analogous to the Greater Toronto Area (“GTA”). MSAs are defined by the U.S. Office of Management and Budget.